In our last two posts, we covered some of the major reasons bar owners face lawsuits, including their patrons suffering slips and falls. While there are plenty of exposures that these professionals and entrepreneurs face, a growing concern is being found liable for a guest altercation. While no one wants this to happen, the reality is that intoxicated patrons are more likely to get into an argument. Therefore, in this article we’re going to explore how to manage and prevent these incidents from occurring, leaving you off the hook. Even more importantly, protect your operation with a customized and comprehensive Sports Bar Insurance Program and consider the following advice. Have a knack for diffusing volatile situations. The best way to mitigate responsibility in the event of a guest altercation is to enforce a written policy. You want to promote a good reputation for your bar, and this means being consistent and fair with all patrons. This includes identifying how situations will be managed, reporting strategies, and prevention plans that will be implemented. LPT Security Consulting recommends that you adopt a very firm but fair ejection policy and that the police are called if anyone is belligerent and refusing to leave. Keep in mind that in litigation, a club’s policy and history of calling the police may, in fact, be a positive factor. Check with your State Alcohol Control agency to ensure understanding of any reporting requirements they have. 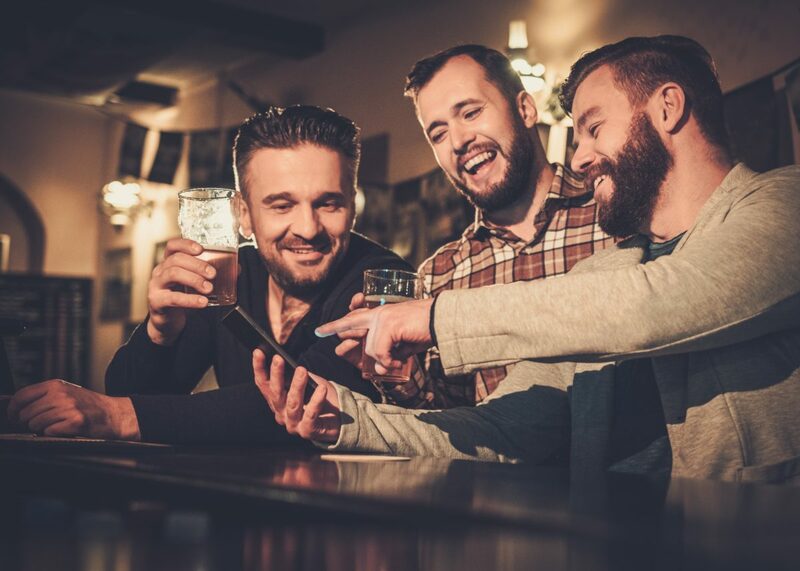 Depending on your state’s laws and who owns the parking lot next to your establishment, you could be held liable for patrons ejected out of your bar who continue to fight in the parking lot. If your state’s law holds you accountable, ensure enough staff are present in the parking lots with enough lighting to deter fighting. Training your bar personnel to identify and handle these situations is critical. Consider the following factors when devising your training manual. Create a document to prove training. Train bouncers on when to use force. Train bouncers on how to use minimal force for the situation. Customer service should be the top priority. Understand the triggers that require force versus the ones that don’t (i.e. physical threat versus a verbal one). At RMS Hospitality Group, we are dedicated to protecting the operations of bars and their employees. Our comprehensive coverage provides protection against a broad scope of exposures your businesses and employees face to promote their success and longevity. For more information, contact our knowledgeable specialists today at (516) 742-8585.